Skill – designed to improve the productive capacity of the economy and fill skill shortages in the labour market, including those in regional Australia. The majority of the places in the program are in the Skill stream (108,682 places in 2019-20, 69.5 per cent of the program). Family – is predominately made up of Partner visas, enabling Australians to reunite with family members from overseas, and provide them with pathways to citizenship (47,732 places in 2019-20, 30.5 per cent of the program). Special Eligibility – this covers visas for those in special circumstances. 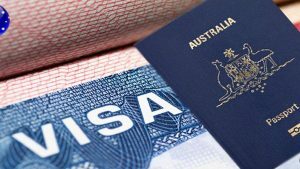 This can include permanent residents returning to Australia after a period away, and is the smallest stream (236 places in 2019-20). At least 3,350 Child places will be available in 2019-20. The size and composition of the Migration program is set each year through the Australian Government’s Budget process. It is informed following broad public consultations with state and territory governments, business and community groups and the wider public. Community views, economic and labour force forecasts, international research, net overseas migration and economic and fiscal modelling are all taken into account when planning the program.